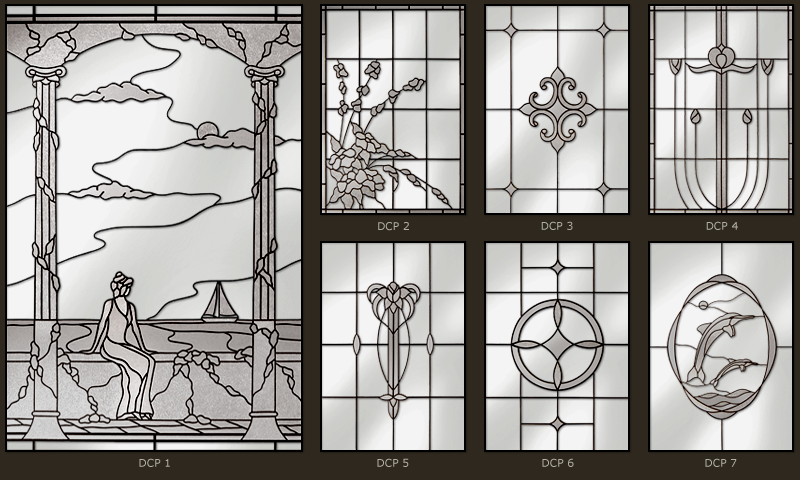 The Designer Collection is an exclusive range of select imagery for windows and doors. This stylish look is achieved with the use of frosted and textured glass finished with fine lead tracery. These designs sparkle in the sunlight and provide a neutral colour-free solution when decor is important. 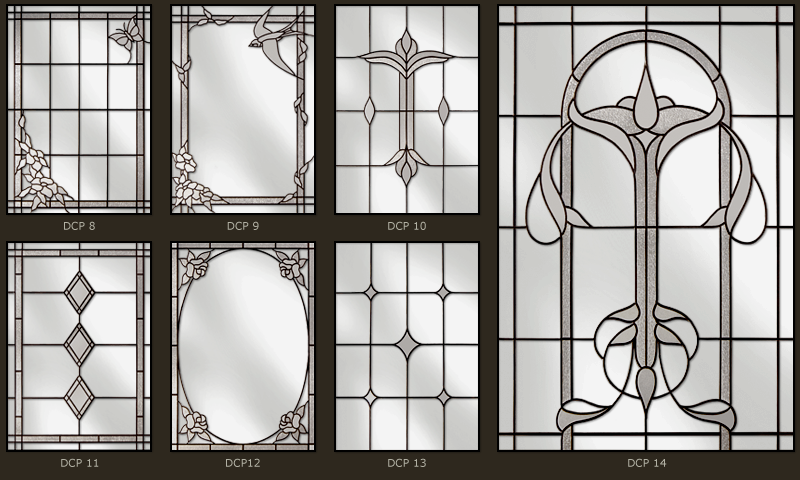 These designs will make an impressive and timeless feature in any home. Colour can be added to any of these designs if required, giving you more choice when creating that individual and unique look. Size guide 650mm x 950mm we can adjust all our designs within reason. Please email your requirements for a quick quote.